After shows in Los Angeles (Echo Park), Winnipeg (WNDX Festival) and Toronto (Pleasure Dome) the 20th Anniversary Film Farm celebrations journey to the U.K., presented by Lux Moving Image of London! 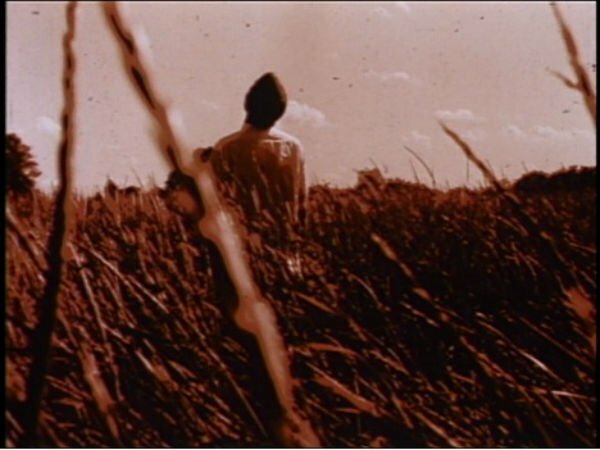 The Film Farm Lux 20th Show, curated and presented by Artistic Director and founder Philip Hoffman, includes early and recent films (16mm and digital) made at the Film Farm between 1994 and 2014. As well, Hoffman will be screening a new film, co-directed with Eva Kolcze, and sound by Joshua Bonnetta, `By the Time We Got to Expo’ (2015). For 20 years the Independent Imaging Retreat or `Film Farm’ has been developing a hands-on, artisanal approach to filmmaking that is far removed from the costly, hierarchical and inaccessible industrial model. Each summer it brings to Mount Forest Ontario a small group of interested filmmakers – some novices and some highly experienced – for an intensive week of shooting, hand-processing, tinting/toning, watching and editing film -- most of the action taking place in and around an old barn on the Normanby Township property, in rural Ontario. The film is a cinematic love letter to Hill's husband Paul Gailiunas which she filmed during a summer in Ontario at Phil Hoffman's Film Farm. Hill beckons Paul Gailiunas to follow her down the road where Paul’s new pig waits. The film features their much loved daisies, their much respected Saint Francis, and their baby pig Daisy. After they were married, Paul Gailiunas and Helen Hill kept a pot bellied pig in New Orleans which they named Rosie. Helen Hill was tragically killed in 2007, in New Orleans. During the demolition of the Saint Mary-Teresa Detention Center for Girls, a cache of films was discovered in a basement locker. Film Farm staff were alerted to the find and over a 5 year period have digitally restored the original print so that this visual document can be screened and celebrated. The filmmaker remains unknown. Irony abound, in this split screen depiction of unjustified imprisonment. Greyson traces Jean Genet’s Un Chant d'Amour, with his own story of penguins held within the stone confines of the film farm barnyard. An excerpt from Rilke’s Ninth Elegy introduces this otherwise silent film which evokes the beauty and brevity of life. Images shimmer in an uncanny light. We catch glimpses only. An experience in layers, scars, and deterioration. The image oozes, rips, and bubbles, emulating both creationist and destructive impulses. A two and a half year old boy revels in all things tiny and huge on and around a farm. His father supports his exuberant and insatiable curiosity of new experiences– from wall climbing to discovering the natural world. As a father-son bond grows, the mother with camera observes, hangs back, dives into a solitary landscape and returns. The fleeting and glowing visual field evokes the delicate tension between distance and intimacy a mother can feel with her child. Richly toned black and white positive, negative and solarized images, combined with snippets of voice, suggest the texture of memory. A meditative journey through Expo 67, re-visiting a significant moment in Canadian history using manipulated imagery taken from educational and documentary films. Footage has been re-worked using tints, toners and photochemical techniques. The Film Farm Lux 20th Anniversary Show takes place at the occasion of the LUX FILM FARM (20-21 June 2015) in the Hackney Marshes.